Within 2 to 4 hours after birth, decide which lambs among those needing assistance should be removed from their mother. Look for the stressed, or small lambs to select for artificial rearing. It is important that newborn lambs receive colostrum within the first four hours. The best source of colostrum is from the mother but other ewes within the flock provide a high level of immunity. Provide a warm, dry, draft free area to start lambs. Use a milk replacer that is 30% fat and 25% protein. Each lamb will consume 20# of replacer. Lambs will require assistance the first day to teach them to nurse on the device that is used. Start lambs on distribution device quickly the younger the is the easier they are to start. Milk replacer is presented to lambs free choice and at room temperature. There is a Formaldehyde solution available that retards bacteria growth in the milk. Place a light over the milk replacer feeding device and dry ration feeder. Remember to supplement lambs with Bo-Se at two days of age. At two weeks of age, vaccine with Colostridum Perfringen type C & D (CD&T) for over eating. 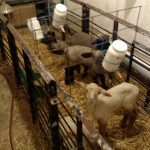 Place 3-4 lambs in each feeding group. Try to maintain no more than one week age difference in lamb groups. 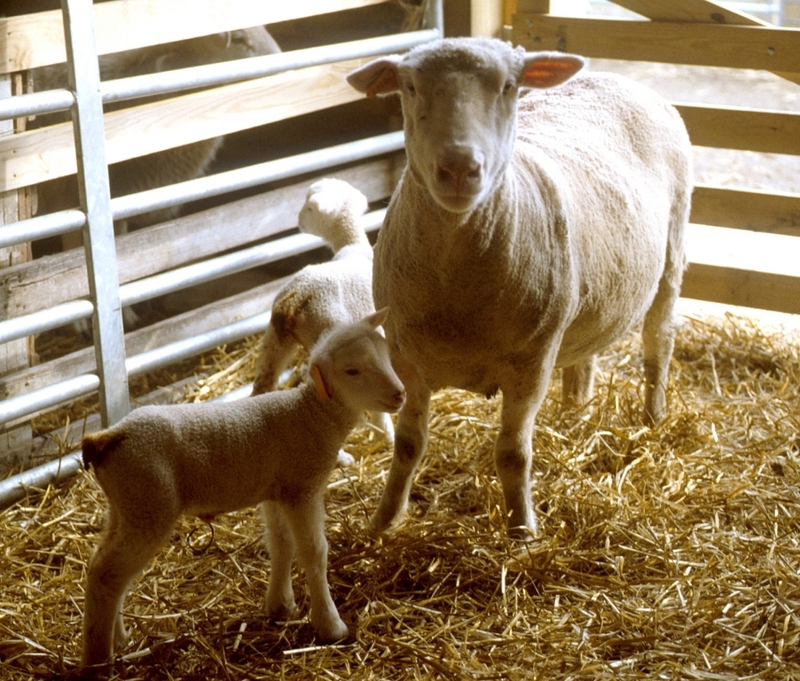 Provide lambs with high-quality creep feed by two weeks of age. Provide ample fresh water at all times. Do not feed hay until after the lambs are weaned. Wean lambs at 30 days of age. Remember this is a stress situation for the lambs they will lose some weight until their digestive system adjust to the no-liquid feed source. Posted by Braden Campbell at 8:00am January 4, 2019 Posted in Management and tagged Health, Management. Bookmark the permalink.